This piece was developed as a gift for my mother. It was designed to combine natural materials of stone, moss, and water to create a dramatic scene with resemblance to our own back yard. It was challenging to develop and combine realistic materials with a fantasy-like setting and lighting. 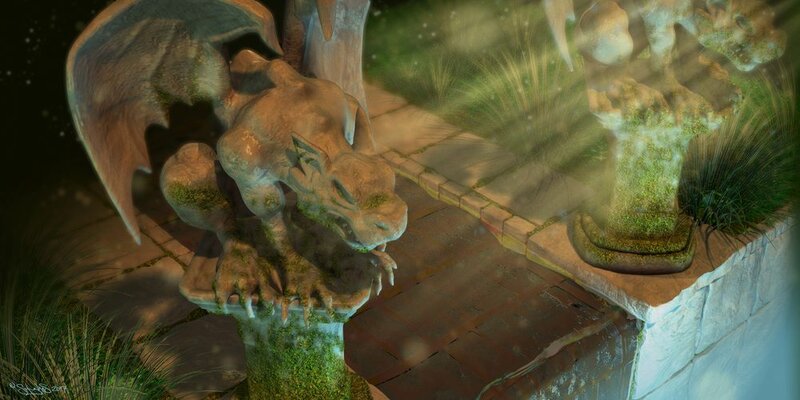 The gargoyles, pedestals, and slate tiles were modeled in Pixologic ZBrush. Planes used for water and ground surface and the water material were all done in Autodesk 3ds Max. Shrubbery was also generated in 3ds Max. The slate material was developed in Allegorithmic Substance Designer. 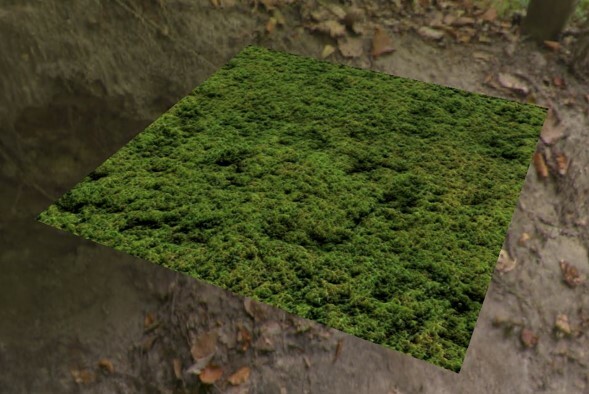 The moss material was developed in Allegorithmic Bitmap2Material and edited in Substance Designer. The scene was rendered out of 3ds Max and composited in Adobe Photoshop.